Sentosa Villa is the perfect vacation rental if you want a luxurious getaway on Grace Bay Beach with resort amenities. There’s a gorgeous heated pool and Jacuzzi to enjoy along with the sea beckoning for you to explore it with the villa’s Hobie Cat, snorkeling gear, kayaks, paddle boards, and flotation devices. When the sun sets, go back to the villa and play a game of billiards or roast s’mores over the fire pit. A full staff will take care of everything at the villa, so you don’t have to lift a finger. Luxurious getaway on Grace Bay Beach! Sentosa is located on a residential stretch of Grace Bay, steps from the sea. This vacation rental is staffed with a full-time chef, housekeeper, butler, and groundskeeper/maintenance for total luxury. The outdoor area is impressive, surrounded by palm trees and cabanas. There’s a large dining cabana on one side of the heated pool, and a hot tub cabana on the other side. There’s a beach deck where guests can sunbathe by the ocean, and if guests want more activity they can use the villa’s kayaks and paddle boards. Explore life under the sea with onsite snorkeling gear, or take a trip up the coast on the Hobie Cat. Gather around the fire pit at night for drinks under the stars, or lounge on the covered terrace to cool off under the ceiling fans. There’s a billiards table around the corner and an outdoor kitchen with a gorgeous collection of platters mounted on the wall. Sun-lovers will appreciate all the loungers dotted around the deck, perfect for napping or sitting down with a good book. Step inside from the covered terrace to the living room, which has several couches and armchairs to relax into. There’s a huge dining table slightly elevated above, and a hallway that leads to the kitchen and utilities room. The chef will prepare every meal in the ultra modern kitchen. There’s a gym in between the kitchen and living room with cardio equipment and weights, and a media room equipped with TV, games, and theater-style seating. A sound system runs throughout the home so guests can play music wherever they are. Sentosa Villa has two master bedrooms with king-sized beds and six additional bedrooms each with two queen-sized beds. Five of the bedrooms in the main house have access to the deck or garden, with ocean views. One of the master bedrooms has an outdoor bath and shower. Families will appreciate that most of the bedrooms sit next to each other in one hallway, and there’s one bedroom behind the media room that has more privacy. The guest cottage is just a few steps away from the main house, and has two bedrooms each with two queen beds, a kitchenette, and private terrace. Sentosa guests have easy access to Grace Bay Beach. Travelers who want luxury and beach access will fall in love with this villa rental. Three meals prepared daily by the chef, ping pong table, and a Hobie Cat. This was my first time booking through WhereToStay. I was looking for an amazing getaway for my wife’s 40th birthday, and Sharon presented me with pictures and details of Sentosa Villa as a possible rental. Normally, the reality never lives up to the professional photos, but once we arrived, the house was beyond my expectations. Everything was in great shape. The staff had the house perfectly cleaned and in order. The staff of 6, led by Emil (Butler and House Mgr), Christian (5-star Chef), and Reggie (Groundskeeper) was exceptional. In addition, our Concierge, Lexi, was fantastic with helping us book boat charters, plan activities for the kids, and greeted us upon arrival and departure. I have stayed in many 5-star resorts, but the Sentosa experience of service, commitment, and professionalism was above and beyond. All of my guests loved the staff and house, and we were constantly saying that there is Heaven on Earth- its Sentosa! 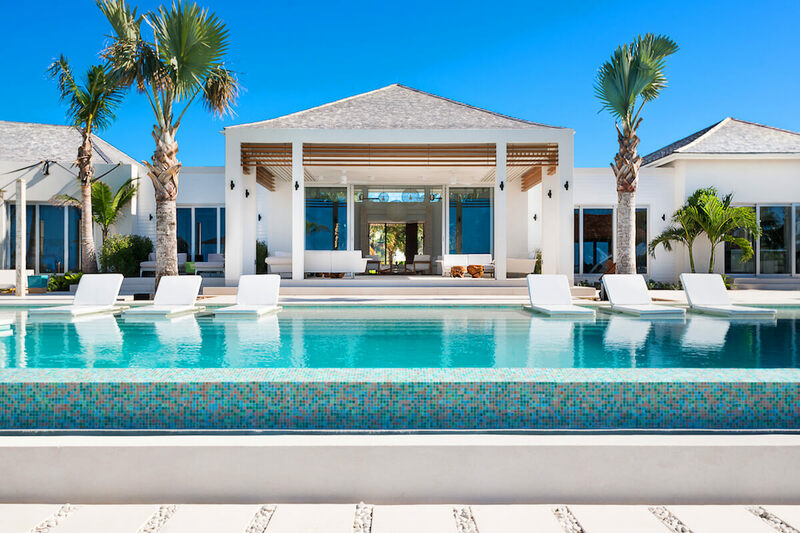 The house is situated on the best coastal part of Turks and Caicos. It was truly worth the money, and created a lifetime of memories. My wife’s 40th set the standard really high! Sharon was absolutely wonderful! She was responsive, transparent, and patient. This was a big ticket item, and the first time I had committed to renting a high priced villa, so I had many questions and Sharon was always available to answer them and help me find a perfect home on Turks and Caicos. Everything was exactly as Sharon promised. I absolutely love working with Sharon.